Well la-di-da! In sweet colours of soft blue, pink or yellow, these coordinating cottons are perfect for a quick quilt. Make extra cozy using matching soft chenille as a backing and to add some extra flair, use a co-ordinating colour of yarn and hand sew tufts in the seam intersections. Be Happy is a perfect choice for easy-to-make bibs and blankets… a quick gift for any new little ones! All that’s needed is a selection of fabric, back to back flannelette or even back with a coordinating cotton or cozy chenille. Follow the instructions to make the easy bib and blanket or if pressed for time, follow the extra easy instructions! 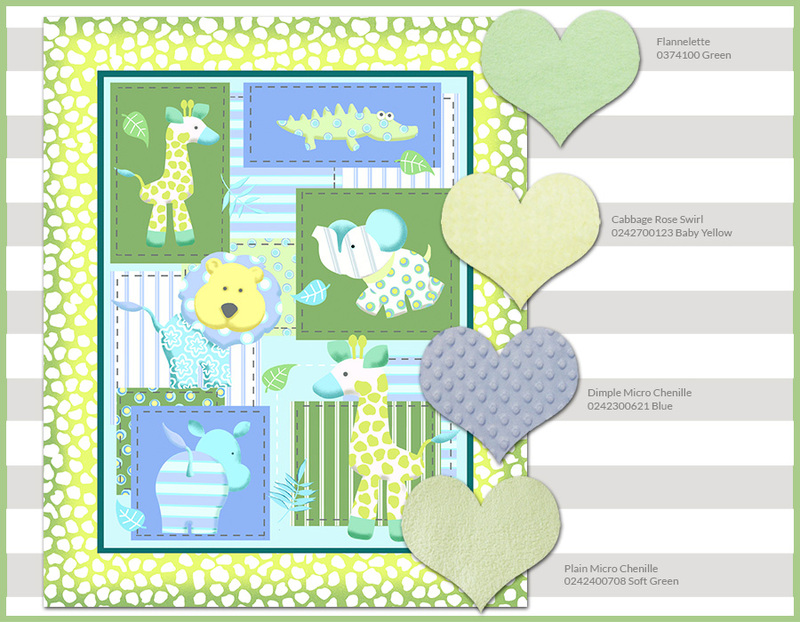 With a mix of flannelette, fleece, and micro chenille, the new Be Happy group of coordinating prints is sure to make you smile. Trendy teals, pretty mauves, and sunny citrus colours are perfect for so many projects! Whimsical animals, happy faces, cute characters and more for a quick project for baby. 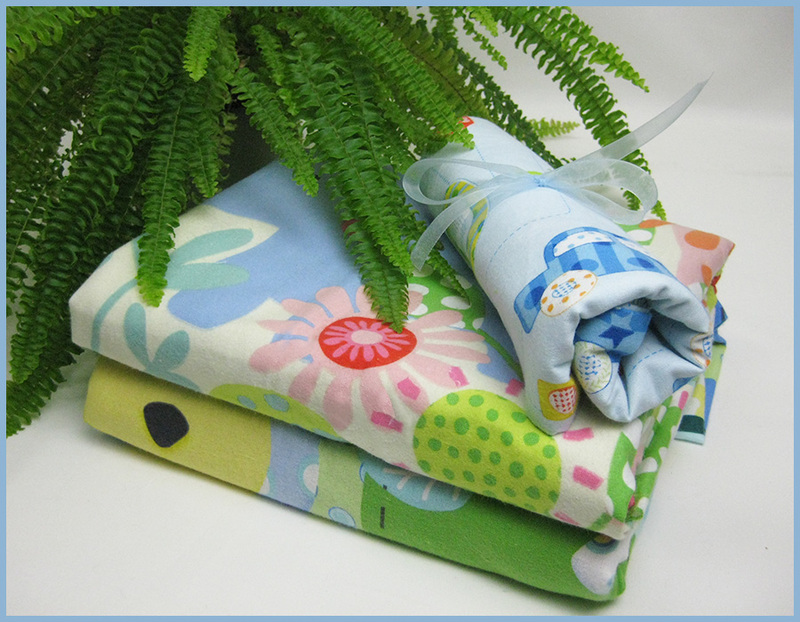 Crib blanket sized pre-printed panels in cuddly FLANNEL make it super easy. Coordinate with solid coloured Flannel or use our solid or dimple Micro Chenille for a backing fabric. Ask for item numbers 0374302000D flannel panels, 0242300 dimple and 0242400 micro chenille in stores.